Many of us still have a kitchen that opens directly into a garden so we can grow our own fresh herbs, flowers and vegetables as country people have for generations. On a lovely day there is nothing more pleasant than a lazy stroll around the garden listening to the buzz of the bees and taking in the beautiful scent of the flowers. Will your Flowers Re-Bloom for You? The process of dead-heading flowers allows us to experience more gorgeous flowers over a longer flowering season, this is relevant for only some flowering plant species. So to help you along a bit I have compiled a list of my favourite flowers that will or won’t re-bloom. 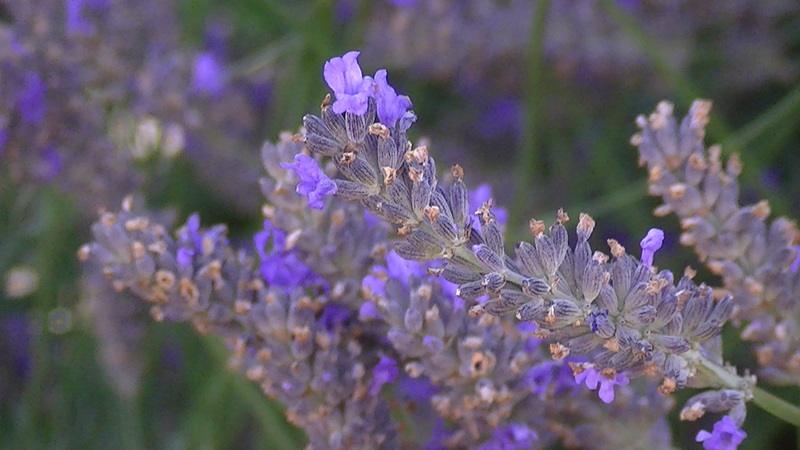 Lavender Harvest flowers with stems and then cut to healthy foliage. Lupin Cut to small emerging buds along stems, when spent trim to basal foliage. Salvia Cut to side shoots and then when stem spent trim to basal foliage. Shasta Daisy Cut to side shoots and then when stems spent trim stems to 5cm. 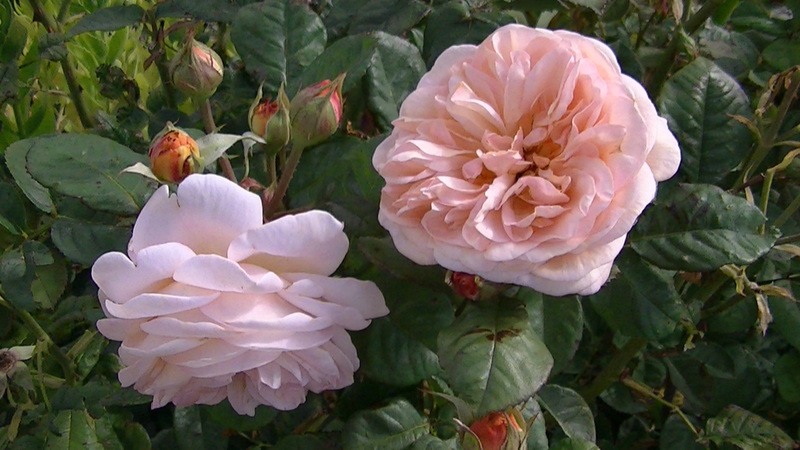 All our roses are dead headed to keep a tidy appearence, we snap off the flowers directly underneath the flower head . Our rose collection is made up of english (ER), old fashioned (OR) and modern (MR) roses. 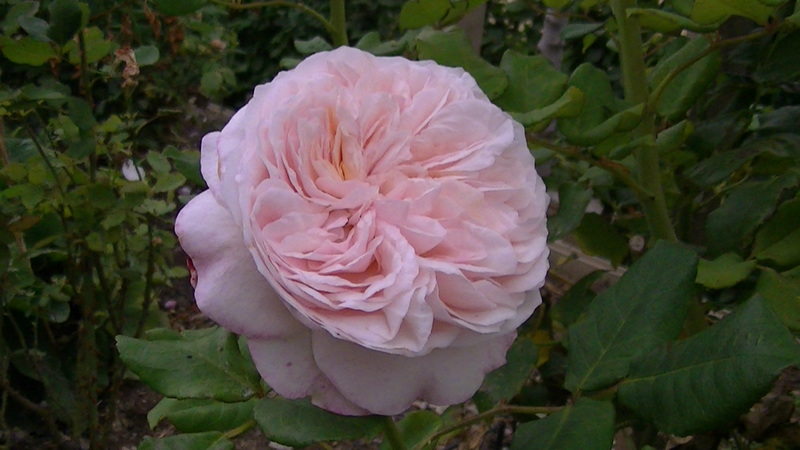 Our favourite rose is “Windrush” with its delicate single flowers and gorgeous large rosehips. Only some roses produce rosehips*, if you have one of these varieites make sure you leave the roses on so the bush produces its gorgeous rosehips. We adore peony roses- they smell gorgeous, look lovely in a vase and grow wonderfully in Central Otago. There is nothing nicer than giving a special friend a bunch of peony roses from the garden. My favourites are the whites and creams as their innocent simplicity looks great in our home. Flowers are a wonderful way to express your sentiments to someone special or to bring the delights of your garden into your home. The artistic style of the arrangement is very much personal preference. For a gift to someone special, I prefer creating a simple “tussie-mussie” of flowers and herbs that represent a specific message, wrapped simply in natural waxed paper and tied with a piece of twine. 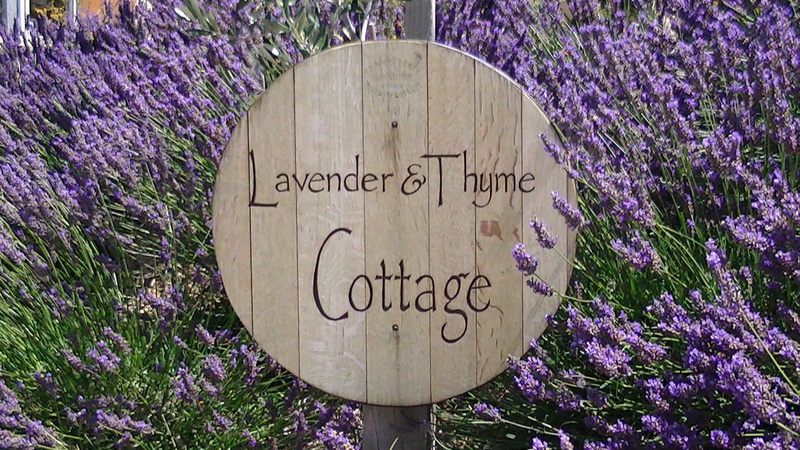 For the home- Lavender and Thyme Cottage, I tend to create a more contemporary style arrangement, less flowers and more foliage, monochromatic in colour, with balance, texture and perfume. With the floral arrangement in mind, select a vase with the correct sizing and height to display the flowers at their optimum vantage point. Our vase collection tends to be understated, made from natural materials- stone, wood, glass, brass, copper or non patterned pottery in green to umber hues. For a table centrepiece my favourite vase is a large piece of knarled driftwood that a friend of the family collected on the beach at the West Coast of New Zealand. Gather flowers in the morning or the late evening as sugar reserves in the stems are at their highest which will allow them to stay fresh for a longer time. Ideally the best time is early morning when flower stems are filled with water after the cool night air. If it has been raining and the flowers are wet, shake them gently to remove the the excess water. 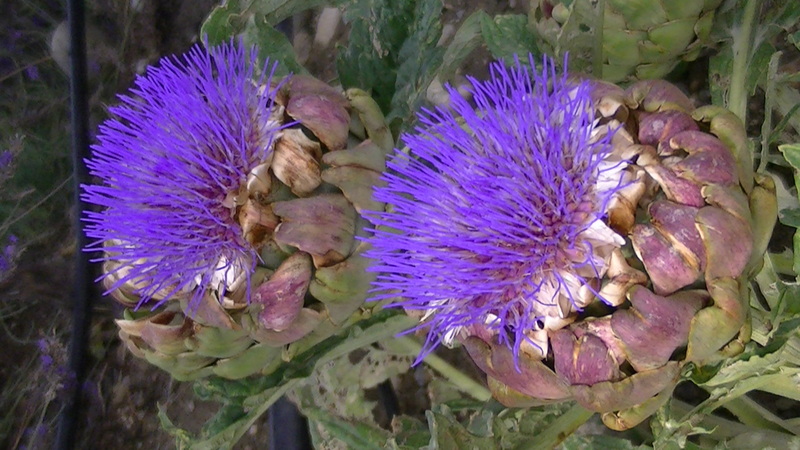 Most flowers should be picked when they are in bud or half open. The colour of the petals should be starting to show. If picked too soon, they may never open. This is especially true of tulips and roses. 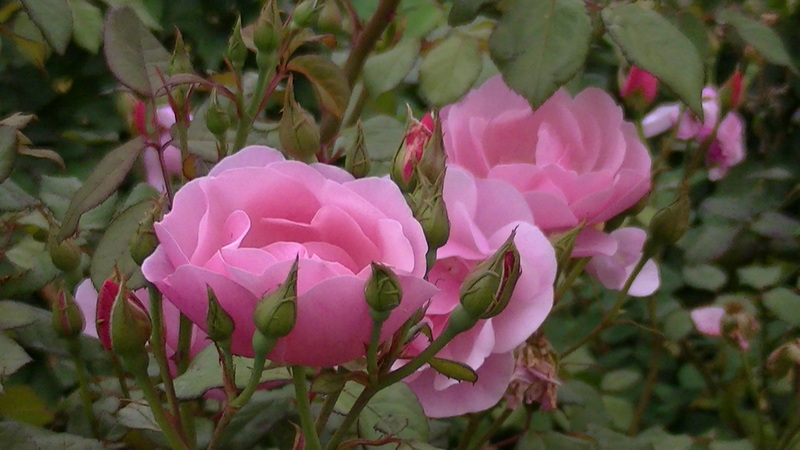 The green pointed sepals around the base of the rose should be starting to turn downwards. Irises and daffodils should be half opened. Gladioli should be picked when the bottom three or four florets are open and the top florets are still in bud. Carnations, dahlias, marigolds, hydrangeas, camelias, gerberas and chrysanthemums should be picked when they are fully open. Fill a plastic bucket a third to half way with luke warm water, as at this temperature flowers take up water more readily than if it was cold. It is preferable also to add a preservative to the water such as a capful of household bleach. Take the bucket of water into the garden with you. 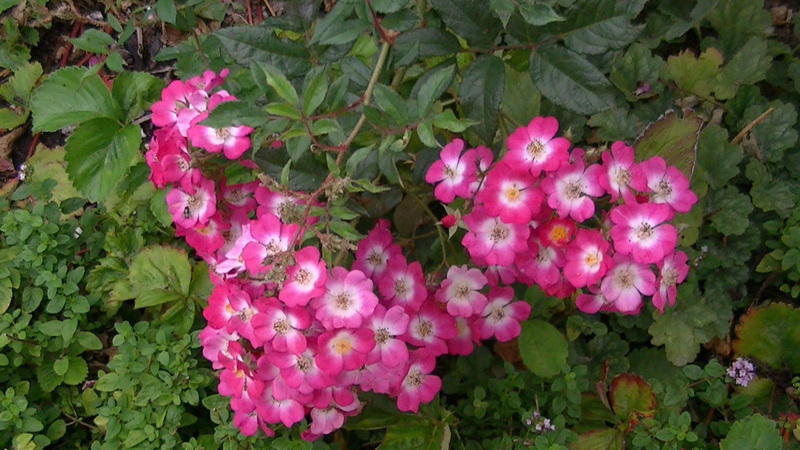 Use a sharp pair of secateurs and cut the flower stems on an angle- a slanted cut allows a better intake of water. Remove all the foliage from the lower portion of the stems which would stand under the water line. Place the flowers immediately in the water. Avoid overcrowding the flowers. Place the bucket in a cool dark place and allow the flowers to have a long drink for four to five hours before being arranged. When picking short stemmed flowers use a smaller container. Give special treatment to certain flowers to give them the longest life possible. Flowers with woody stems do not take water readily. Woody-stemmed flowers include lilac, hydrangea and rhododendrums. 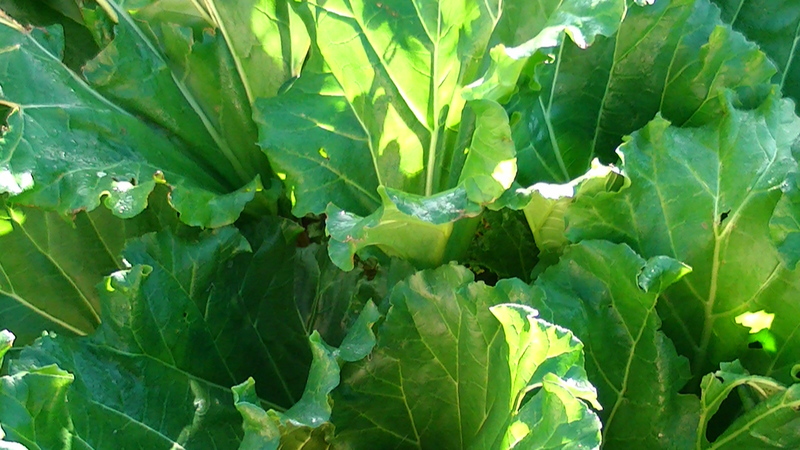 To help break down the thick fibres, split the ends of the stem upwards for about 5cm. After this treatment, place the stems in a container filled with warm water and give the flowers a long drink before arranging. Delphiniums will last longer if the stems are placed in boiling water for a few seconds as soon as they are cut, then transferred to the cold. Gum leaves will have a longer vase life if immersed in water for 1-2 hours after cutting. Cut off the white portion at the bottom of bulb flowes like tulips, daffodils, jonquils, narcissus, irises and hyacinths. 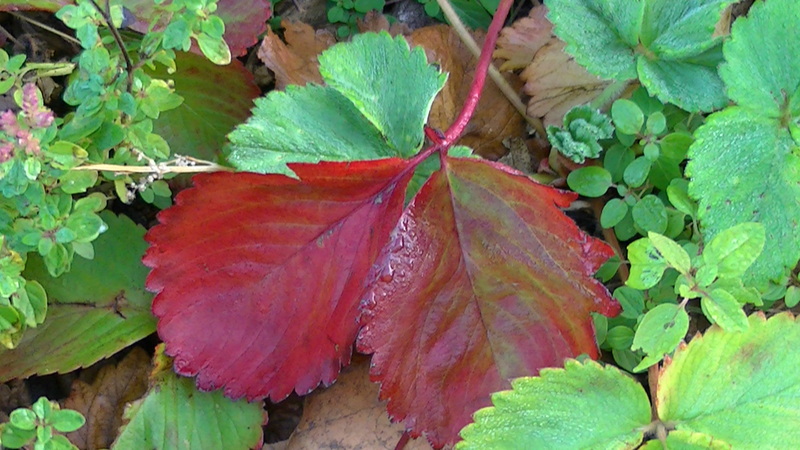 Only the green part of the stem can take up water, wipe of any sap before placing stems in water. Keep these flowers separate from other flowers when they are being conditioned as the sap can affect other flowers. The thick sap can clog the ends of stems and prevent the uptake of water. Stand the stems in about 8cm of water and allow to stand at least six hours before arranging. Bulb flowers prefer shallow water. Flower food such as crushed aspirin, sugar (1 tbsp sugar to 4 c of warm water) or a pinch of salt mixed with baking soda can be added to the water to provide nourishment it needs. Sugar should be avoided for daffodils, daisies and tulips.